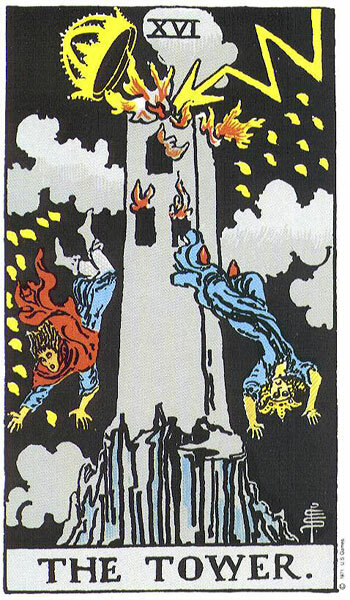 Sometimes, having structures in our lives fall apart (The Tower) can lead to emotional imbalance (Temperance reversed), but this time, it looks to me as though it is the other way around. This is one of those times when imbalances are the driving force behind the scenes when it feels as though our lives have been struck by lightning. Furthermore, whatever is going on today feels like it has been building up for quite some time — and it just may have been unstoppable. So don’t blame yourself, but try to find ways to bring yourself back into balance, even if the shake-up in question wasn’t caused by you. Focus on yourself anyway and keep your balance during the resulting tremors. Ground, breathe, meditate, pray (if that’s something you do). Changes ushered in by The Tower tend to bring about needed transformations. 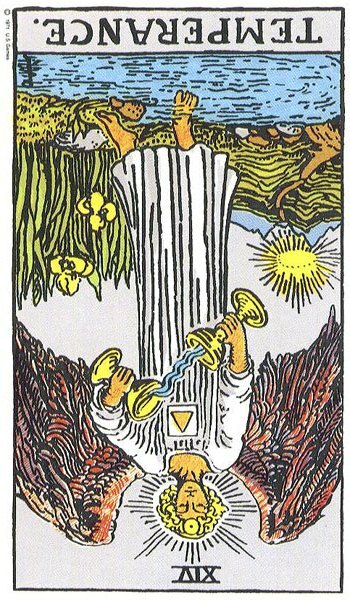 Notice that the central figure in the Temperance card is an angel — and when angels are involved, things are prone to working out in the end. I forgot to say that the imbalance might not be emotional — it might be something else, such as a health/diet imbalance, or even a geographic imbalance leading to an earthquake.